It’s on again!!!! Our 4th, and one that promises to be our best yet. 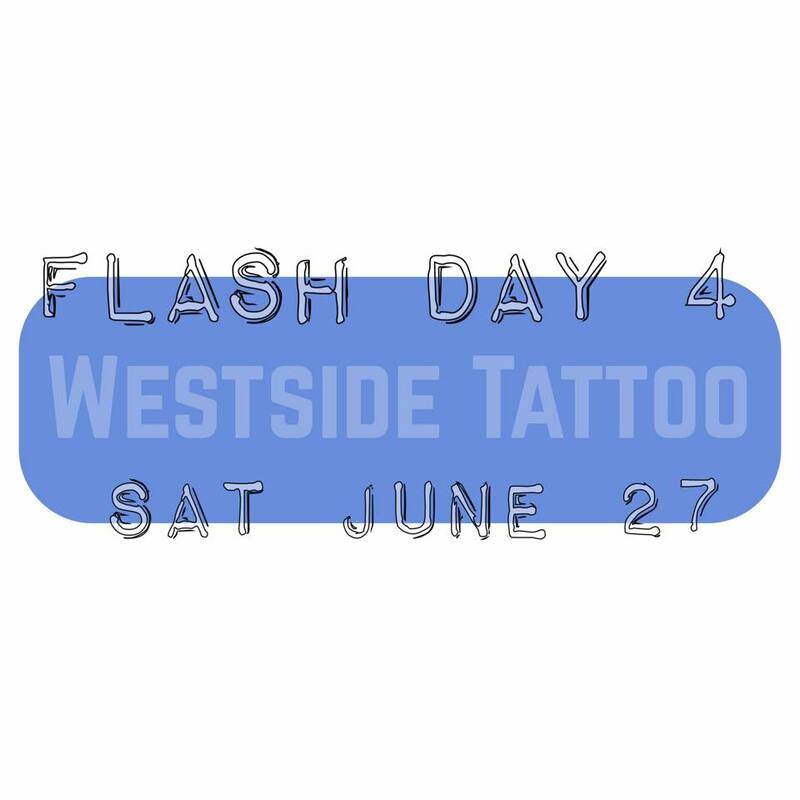 As in previous years, all of the Westside crew will be painting two A3 sheets of flash each, all to be tattooed on the day…on a first come, first served basis. Sheets will be posted the evening of the 26th, not before. Teaser shots of what the artists are putting together will however be posted as the event draws near to give you an idea of what to expect. Prices to range from $250-$350. BUT…this year we’re going to mix things up a little. If you’re feeling lucky, good times ahead! More details to come. No bookings can be made prior to the day, however, as with previous years, we’ll do our best to make sure everyone who wants in, will be able to get tattooed. Our counter staff will be there bright and early to start the booking process at 7am, with the first tattoos kicking off at exactly 9am. PLEASE JOIN THE GUEST LIST ON OUR FACEBOOK PAGE TO LET US KNOW YOU’RE COMING, RECEIVE UPDATES AND NEWS, AND TO BE IN THE RUNNING TO WIN A TATTOO VOUCHER TO USE ON THE DAY!! DO US A FAVOUR AND SHARE THIS EVENT WITH YOUR FRIENDS ON WHATEVER FORUMS YOU CAN MANAGE…THE MORE THE MERRIER! Now, the nuts and bolts. For anyone who hasn’t been before, or those who just want a refresher on how we run our Flash days…head to our event page and scroll down to the FAQ. All your questions will be answered. SHANE GALLAGHER – STARTS MAY!! !